Ocna is the local ‘big’ village. You have shops with choice, slat pools and the market on Thursdays where every one meets for a chat and to check the prices of pigs. 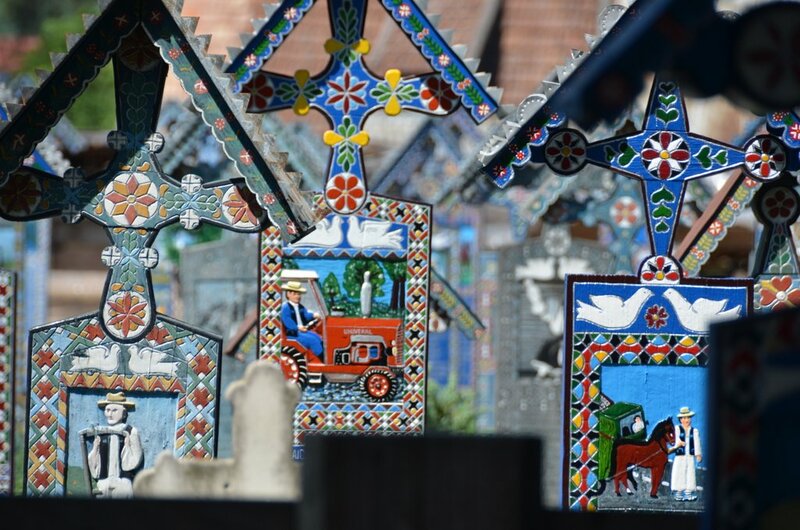 Ocna Sugatag was once a major town in Maramures, the main interest in the area stemming from its status as a salt-mining centre. After the salt mines had collapsed and flooded, the town became known to Union leaders and communist supporters based in Baia Mare and Sighetu as a place to soak in the salt pools. 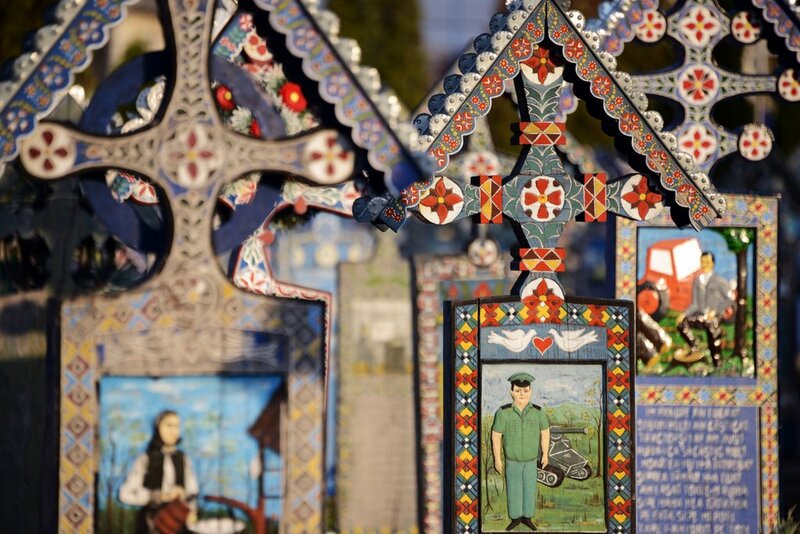 Now, Ocna is a low-key tourist destination for families from Maramures. Ocna is 7km from Breb and has a post office, banks, ATMs and a Thursday morning market. There is one holiday complex with a large swimming pool, salt pools and a jacuzzi to relax in. There is usually a DJ and games for children, as well as sun-loungers on the pool-side. It was started by Stan Ioan Pătraş, born in 1908 into a family with a long history of wood carving. From an early age he was attracted to sculpture, painting and poetry and at fourteen he began to carve oak crosses. 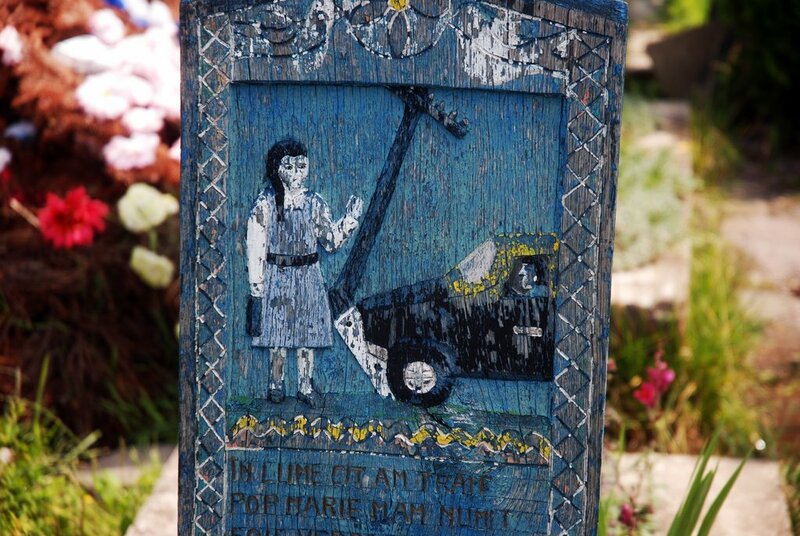 In 1935 Stan Ioan Pătraş, started to carve small poems onto the tombstones, written in the first person: ironic poems, with grammatical errors very close to the archaic language the locals spoke. 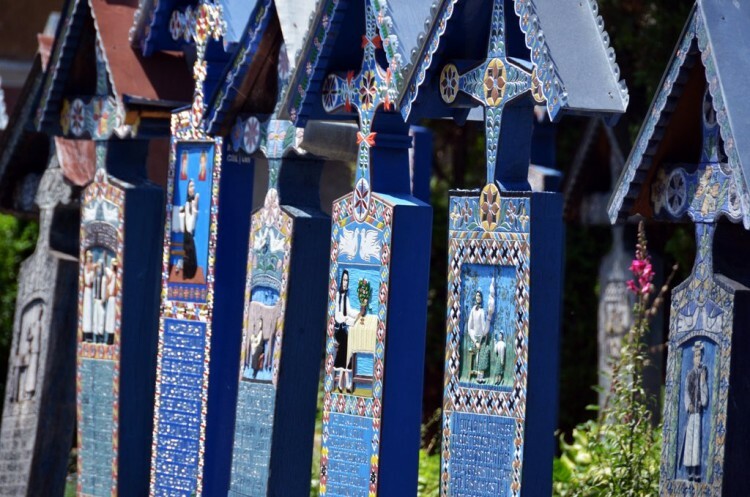 At the beginning he carved only 10 tombstones a year using oak as the base wood. By 1936 he had perfected his style: the tombstones became narrower and he started to paint relief figures on them using bright colours obtained from natural pigments. The main colour he used was blue, now known as the Săpânţa blue. 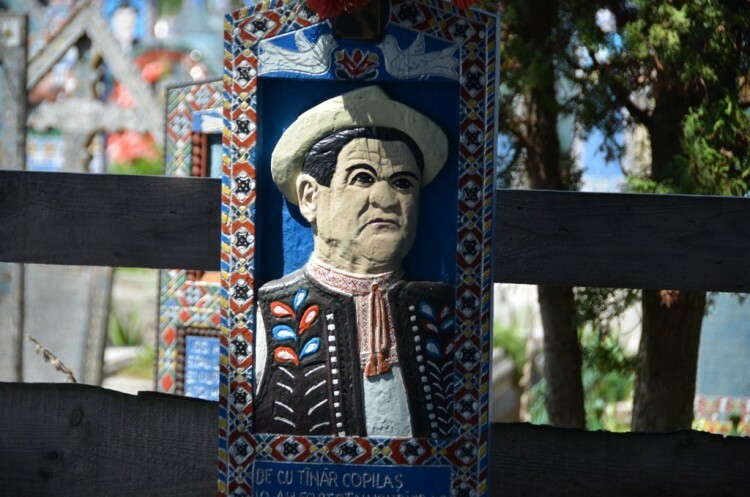 Pătraş made almost 700 tombstones in the two graveyards in Săpânţa, now known as the Merry Cemetery. He died in 1977, leaving his house to a disciple, Dumitru Pop, who chose to live in his master’s house and later turned it into a museum. There are a good selection of souvenir shops here that sell traditional crafts but you can also buy these goods from Breb, directly from the locals. Hard currency is scarce in Breb, so any money the locals can earn to purchase what they need on market day goes a long way. Near the Merry Cemetery the tallest wooden tower in Europe has been built at Peri Monastery. 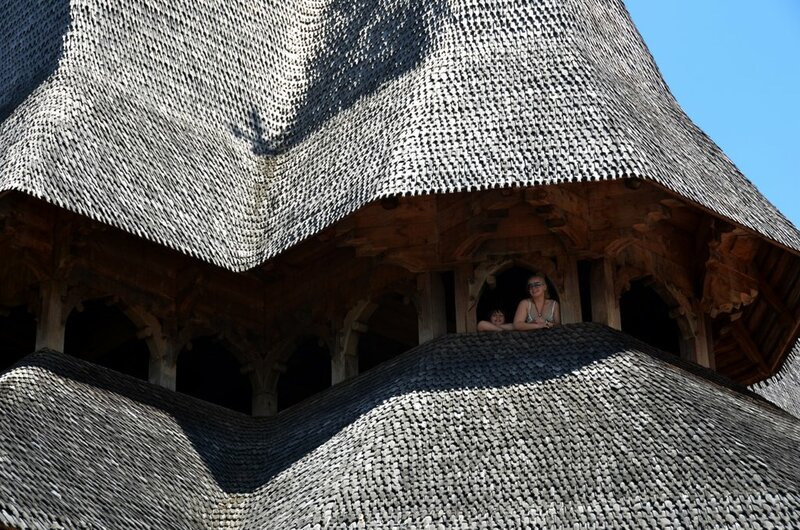 Although the 75 metre wooden tower is impressive but it is not a traditional church, and we prefer the beautiful wooden buildings at Barsana Monastery, 45 minutes from Breb. Each person had their story of how they lived…. and how they died. Stan wrote poems to tell their tale and painted them on each cross. We have some books that translate these poems so you can read them before you go to the Merry Cemetery and look for them when you arrive. Great if you have kids with you, as it turns into a bit of a treasure hunt.